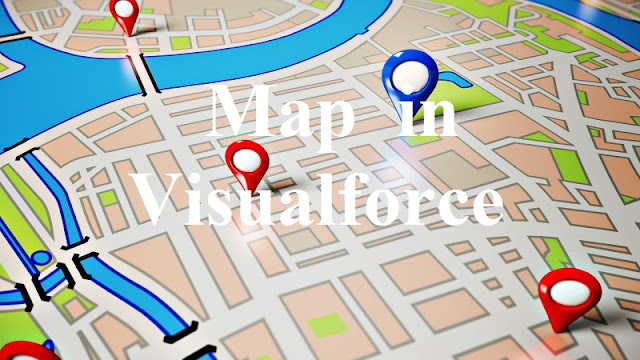 We all are aware of displaying map in Visualforce Using Google Map API's. 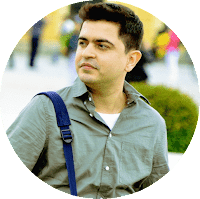 This post will help you create maps and insert markers on the map using native apex tags (Which in turn uses google API's). Visualforce mapping components aren’t available in Developer Edition organizations.Try the below code in Sandbox or production Environment. Use the below code to Create a simple map with the center as the location value provided. <apex:map width="600px" height="400px" mapType="roadmap" zoomLevel="16"
This will not create any markers as we have not defined it. The below snapshot is the out of the code. 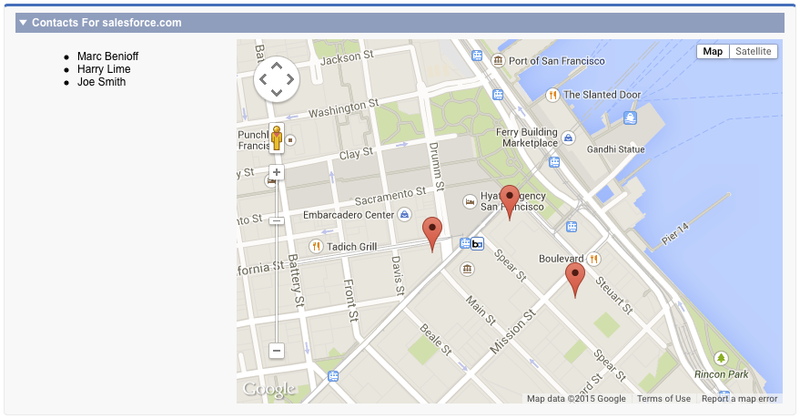 To insert markers use <apex:mapMarker> tag as a child element of <apex:map>. You can mention title and the position of the marker as an attribute. Maximum of 100 markers can be inserted on a map. Copy and paste the below code to create the markers of contact associated to a Account.